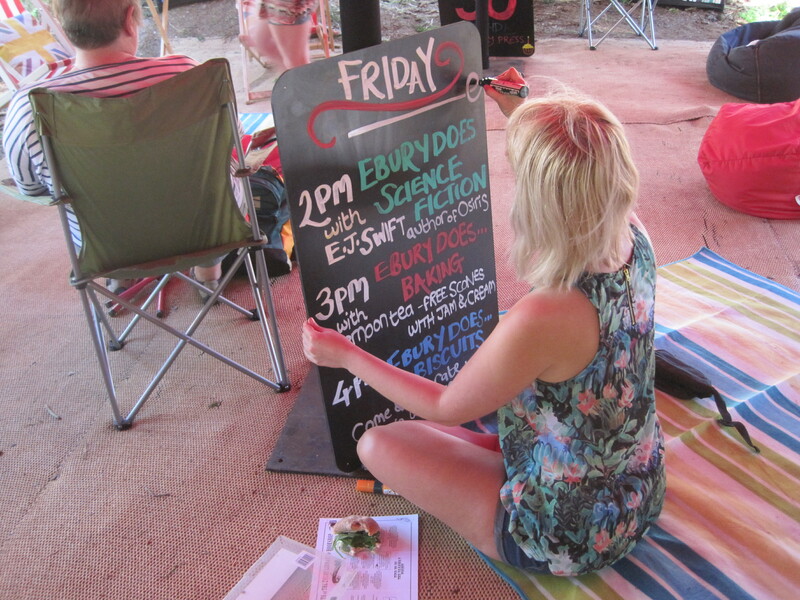 This weekend saw an expedition to Suffolk for Latitude Festival, where I was speaking as part of the Ebury Does… programme. 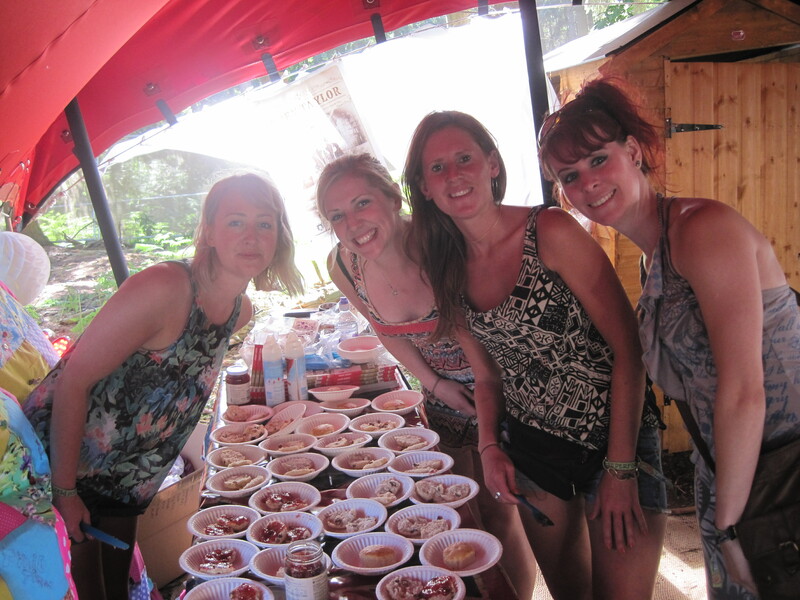 It was my first time at Latitude and as glorious as the music was the chance to get out of London for a few days and switch off the phone. My talk was on the Friday. 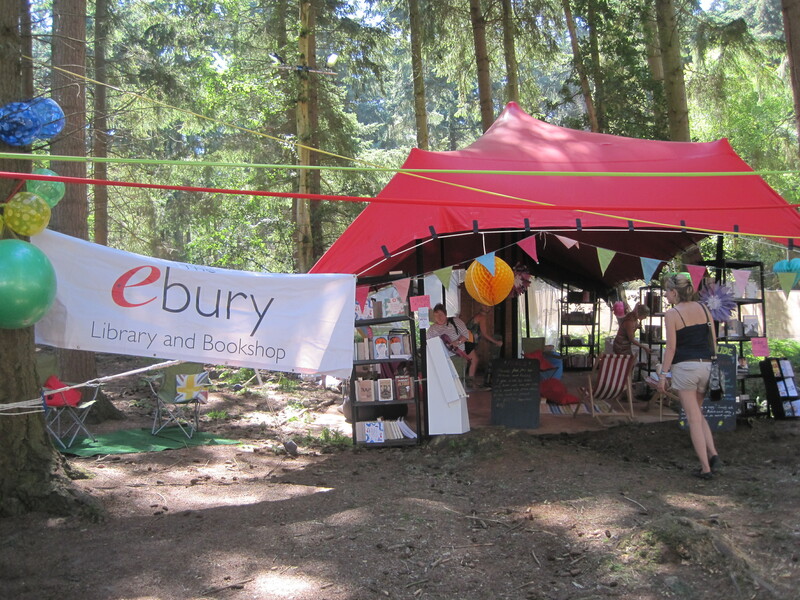 I tracked down the Ebury tent in the morning (located in the suitably whimsical Faraway Forest) and found the team setting up after a hellish 9-hour drive from London the previous day. A couple of hours later I returned for my talk and found the tent full of cushions, beanbags, deckchairs, and of course books, including a very shiny array of Del Rey UK titles. I was truly delighted when people turned up for the talk as the tent was a little off the beaten track and I had no idea how it might go. I read the prologue from Osiris and spoke about my influences, how I got into SF, and my inspiration for the trilogy. However, SF readers are everywhere, as I later ended up talking to a group of French electro swing musicians from Toulouse, one of whom recommended some French SF for me after a conversation in Franglais about George Orwell, and my housemate helpfully describing Osiris in his (far better than mine) French. The rest of the weekend I was free to relax and enjoy the music. Highlights were Beth Orton, who had the crowd mesmerised and was just a joy to hear; Josephine singing with guitar in a small tent away in the forest – her voice was even more stunning live than on her album; the Mark Lanegan Band being generally cool; Laura Mvula; and Everything Everything. I’m always interested in how some artists are far better recorded and others live, and I’d see all of these again. I caught a few songs of Daughter, who I hadn’t heard before, and bought her album as soon as I got home (in fact I’m listening to it as I write this). I also saw the Ballet Boyz on the waterfront stage performing a piece by Russell Maliphant, I think called ‘Falling’, which was spectacular, and reminded me once again just how powerful contemporary ballet can be. 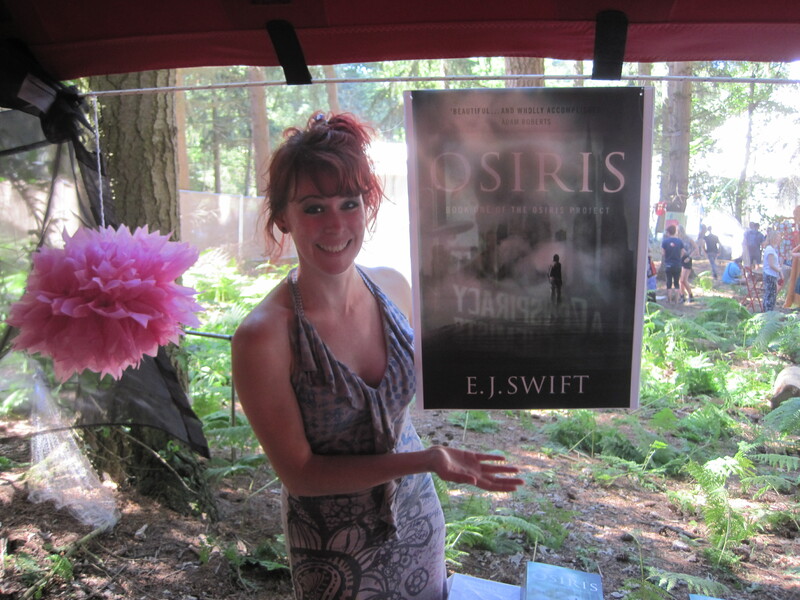 This entry was posted in Del Rey UK, Ebury, Events, Music, Osiris on July 23, 2013 by E J Swift. A very quick note to say this weekend I will be at Latitude Festival courtesy of the marvellous folk at Ebury Publishing to fly the flag for Del Rey UK (or at least, to brandish a Del Rey book). The Ebury Library has a full line up of authors and I’ll be speaking on Friday 19 July at 2pm, on how I came to write in the genre of Science Fiction and Fantasy, how I got published, and discussing the inspiration for the Osiris Project trilogy. Now it’s off to pack as much mosquito repellent as my bag can hold and of course, a hula hoop. 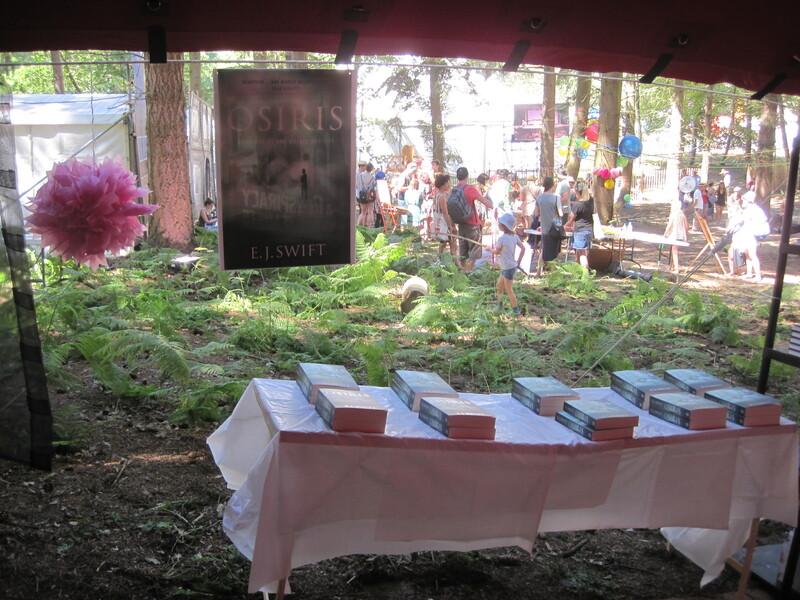 This entry was posted in Del Rey UK, Ebury, Events on July 18, 2013 by E J Swift.